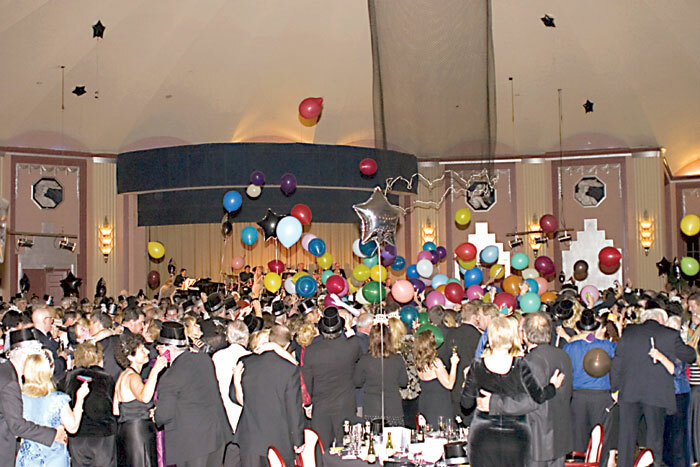 CATALINA ISLAND — Boaters looking for a twist on the typical New Year’s celebrations can skip “Rockin’ New Year’s Eve” and the Times Square ball drop this year, and instead cruise to Santa Catalina Island to ring in 2013. Festivities are planned at both Avalon and Two Harbors, promising fun-filled dancing, dining, toasting and even a New Year’s Day pajama party. The island’s biggest New Year’s Eve celebration, hosted in the grand ballroom of Avalon’s famous Casino, will this year feature live entertainment from the Xceptional Music Company Rock Orchestra. The group, composed of 10 musicians who have played with Wayne Newton, Art Neville, Kenny Loggins and other major artists, will be performing music from “1960s until now.” It will also perform a few songs that hark back to the Big Band era, to honor the history of the Casino Ballroom as a major live music venue for top swing bands in the 1930s and 1940s. The New Year’s Eve Gala at the Casino includes a buffet dinner, dancing, champagne split, one bottle of wine in a specially engraved bottle (#14 in a series) and party favors. Dinner reservations for this year’s gala are $175 per person and will be accepted for 7, 7:30, 8, or 8:30 pm. Guests will be admitted into the ballroom no more than 15 minutes before their reservation time, but they can wait in the Marine Bar on the mezzanine, where seating and beverages are available. Mail requests for reservations should be addressed to the Catalina Island Chamber of Commerce, P.O. Box 217, Avalon, CA 90704. All reservation requests must be accompanied with full payment, and reservations will be confirmed by letter. For more information, call the chamber at (310) 510-1520 or email info@catalinachamber.com. Boaters heading to Two Harbors can celebrate New Year’s Eve in a more laid-back style at the Harbor Reef Restaurant, where a special four-course meal will be served, priced at $45 per person. Shoreboats will be available for boats moored in Two Harbors, allowing celebrants to leave the dinghy driving to the professionals for the night, and enjoy the evening. Party-goers can enjoy two celebrations for the price of one, as tickets for the annual Avalon New Year’s Eve party will be good for entry at both at El Galleon Restaurant and Antonio’s Cabaret. For $20 per person, guests can enjoy live jazz, Dixieland and swing music performed by the Hyperion Outfall Serenaders, along with dancing on a large dance floor. Party favors and a glass of champagne are included. The party continues at El Galleon Restaurant, where a Mardi Gras karaoke party is planned — complete with bead necklaces, party favors, hats, a glass of champagne and a midnight balloon drop. Both parties will run from 9:30 p.m.-1 a.m., and include special dinner menus. Prior to the celebration, El Galleon will be serving a New Year’s Eve dinner priced at $39.95 per person. The dinner starts with a shrimp cocktail, followed by a choice of scallop chowder or Caesar salad. The main course includes a choice of prime rib, filet mignon, rosemary chicken or Catalina swordfish. Dinner also comes with a vegetable medley, grilled mashed potatoes, fresh-baked sourdough bread and butter, and pumpkin pie. Guests who make dinner reservations by 8 p.m. can keep their table for the post-dinner party. For those who can’t make it to dinner, pizza and desserts will be available at Antonio’s Cabaret from 9 p.m.-midnight. For more information or reservations, call El Galleon Restaurant at (310) 510-1188 or Antonio’s Cabaret at (310) 510-0008.